It’s one of those treatments that sounds really quite terrifying but in actual fact it’s anything but. Granted, the term ‘skin’ and ‘needling’ as a descriptive hardly sounds like an enjoyable time, and with A-List celebrities posting on Instagram their blotchy faces immediately post-treatment, it is no wonder there is a great deal of misinformation (and a great deal of fear-monering) out there about this very simple, and very effective, anti-ageing technique. You’ll likely have heard it called a number of different things; derma rolling, skin needling or Dermapen. All are essentially the same treatment, however they each have key differences; derma rolling (as the name suggests) uses a hand-held device that requires a ‘roll-on’ method to administer, while skin needling and Dermapen uses a spring-loaded wand in a gliding motion. 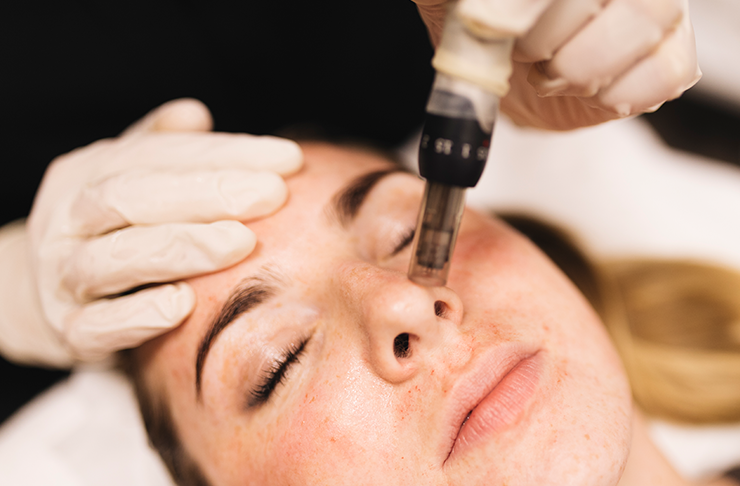 With regular usage, skin needling promises clearer, more youthful looking skin, and has even been known to convert die-hard Botox users for its ability to dramatically reduce fine lines and wrinkles. The big question is, does it work? 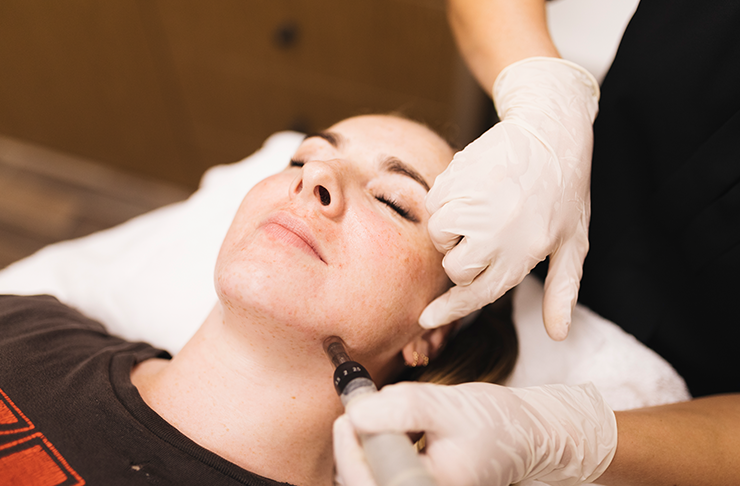 We were invited to the very beautiful Artisan Aesthetic Clinic to try out the Dermapen treatment and chat all things skin needling with their team. 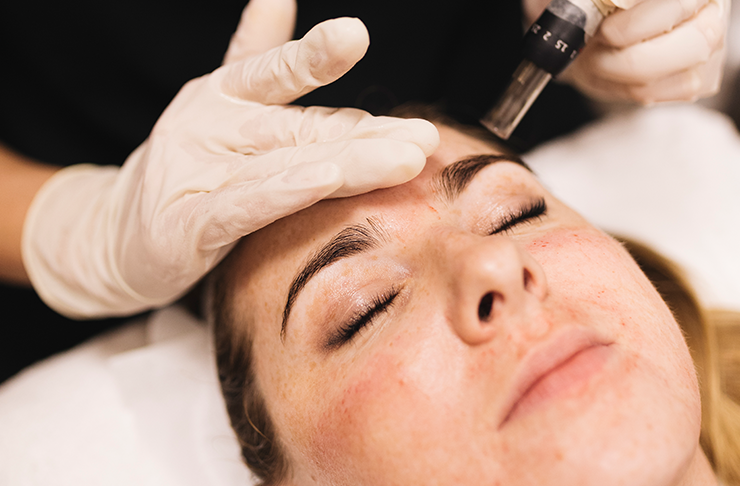 To put it simply, skin needling, or Dermapen is a non-invasive treatment where the upper dermal layer is punctured with tiny needles, creating micro wounds just beneath the surface of the skin. This process causes the body to create a surge of collagen and elastin—the two primary elements of skin production that heals and renews—effectively kick-starting the rejuvenation and healing process. What Is The Treatment, Exactly? The Dermapen is administered by qualified clinic nurse, where a small pen-like apparatus glides across your face in a gentle sweeping motion. Micro-sized needles pierce the upper dermal layer using a spring-loaded system (to ensure a consistent depth when needling and consistent coverage throughout the treatment), kick-starting your body’s wound healing response aka the production of collagen and elastin. Artisan’s clinic nurse, Gemma took me through the entire procedure and what to expect, discussing in detail about my areas of concern, and what I was hoping t achieve through a course of Dermapen treatments. This is the time to go through any concerns you may have, but it is also where the team ensure this is the correct treatment for your specific skin concerns. 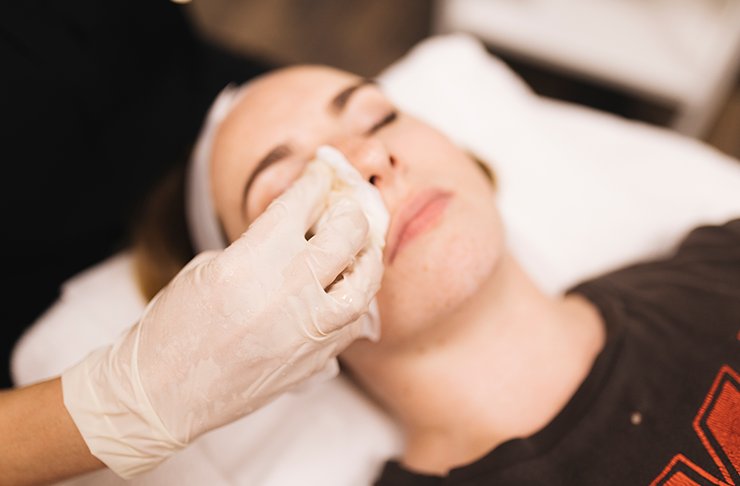 Pre treatment, your skin is fully cleansed before a numbing agent is applied. Once this has taken effect, (approx. 30-40 mins) your skin is cleansed once more before the treatment starts. The treatment itself offers next to no pain, only experiencing a gentle pressure as the Dermapen is gently swept across the skin. You may feel a slight tingle in areas that are more sensitive such as your nose and around the eye area, but this is very minimal. It’s all over within 30 minutes and can easily be done during a lunch hour. None. Other than a slightly red face, any redness and inflammation will go down within 48 hours. You’re advised to go makeup-free for 24 hours post-treatment, and wearing SPF 50 and avoiding sun exposure is a must while your skin is healing. As your skin continues to heal post-treatment, you may feel slightly dry and your skin may look a little lacklustre, but this will also gradually return to normal after 3-5 days. As someone who takes good care of my skin (I wear SPF every day, I never sleep with makeup on and I try not to go overboard with products) I was so impressed with how my skin reacted to the treatment. I left Artisan feeling fresh faced, and even in the days immediately after, any dryness was minimal and the redness was gone by the following morning. Even without makeup, no one could tell I had undergone treatment. I was told that the best results are seen after approximately six weeks, where the skin has had enough time to fully regenerate—and this could not be truer. The acne scarring I’ve had around my chin since my 20s has almost vanished, my quite obvious sun damage (freckles and dark spots on my cheeks) has dramatically reduced and my skin has a dewiness to it that my makeup just can’t replicate. The Artisan team recommend a course of 3-5 treatments, and I have already booked my next one in, as I figure for all the money I spend on expensive serums, this has already outweighed their results tenfold. Am I A Suitable Candidate For Skin Needling? Almost all skin types are suitable candidates for skin needling, however a consultation with the clinic is required beforehand to discuss any queries you might have, alongside your primary skin concerns. Gemma and the team made me feel completely at ease, and I felt totally comfortable asking a barrage of questions about the treatment. Although this is a non-invasive treatment, factors such as pregnancy, recent anti-wrinkle or filler injections and certain skin issues can mean this may not be for you, so make sure to discuss any and all concerns first. Check out our Health & Beauty pages for even more skin treatments.